With Santu you can easily create your own events and sell tickets for them. And while it is easy to use the supplied template and to customize it with your logo and event image, you also have the option to completely design your own tickets in PDF format. All all you have to do is to leave some space for a barcode or a QR code, so you can scan the tickets at the door with our Android and iPhone apps. Keep the design simple and don’t overload it with images. Don’t make your customers feel you’re wasting their ink or that it takes forever to print. If a ticket is too large, email programs may reject the delivery email and it will take longer to download, especially if a customer buys multiple tickets. These two points demonstrate that creating a ticket is not just about design. After all: a PDF document is not an image, it is a text document. While you can embed normal images in a PDF document, this will create a much larger file than necessary. Some graphics programs allow you to create PDF documents. But they usually simply stick a big image into the PDF document. The result is a huge file which is hard to deliver to your customers. We have seen tickets generated with Photoshop with sizes of up to 20 MB. A bad idea if you want to ensure that your tickets can be delivered by email. The PDF ticket pictured below has a size of 72 kb using the suggestions in this post – very reasonable considering the number of images included. Four tips to generate small PDF documents. Creating and optimizing a PDF document is not so difficult once you understand that your are not just dealing with a big image. I like using Microsoft Word, mainly because I have always used it. But you can just as well use Open Office, which is freely available online. Just make sure the text editor of your choice can save documents as a PDF file. Alternatively you can install a PDF printer. That’s a small program which works just like a printer, but saves the document you print as a PDF document on your computer instead. You will find free ones online with a search for “PDF Printer”. To create a Santu event ticket you must use a single page and add the information about your event to it. Leave some space for the barcode, and you are done. Save the page as PDF document and upload it to your Santu event. Here is a Word Template used to create a ticket similar to the one for the event above: Download template. Just unzip the file and you will see the PDF document as well as the Word document used to create the PDF ticket. 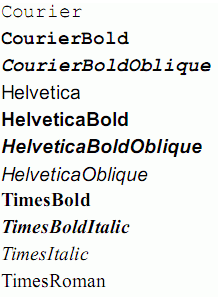 We used the Helvetica font for this document, which can be found here. Font installation instructions are here. The size of the paper is up to you. However we highly recommend using a letter or A4 size, simply because this will be the most likely paper in your customer’s printers. Adobe’s Reader comes with a number of text fonts which are built into any PDF reader – regardless of operating system. 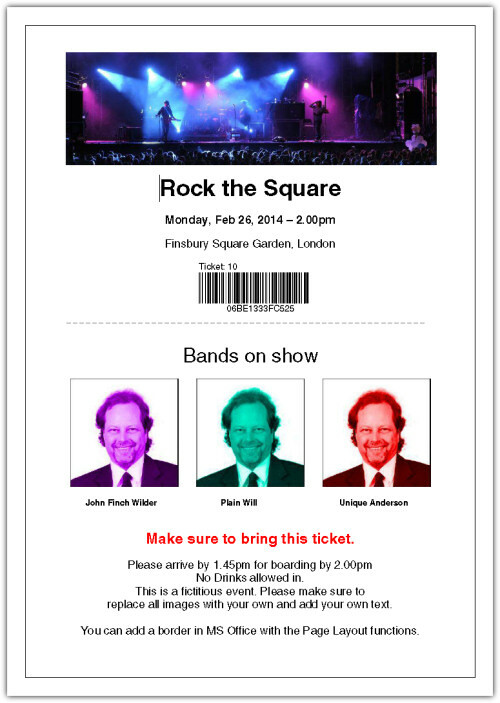 The result of using built in fonts: a much smaller ticket PDF file. Before I knew this, I used to create PDF documents sometimes with multiple different fonts, as well as using bold and italics. This sometimes increased the PDF document by a megabyte and more – just for the fonts which were added to the document so they could properly be displayed! Every image increases the size of your ticket. So a good idea is to limit the number of images to prevent overloading the ticket and keep its size manageable. A good idea is also to optimize the images before adding them to the document, for example by reducing their size. However using a PDF compression tool like the one listed below helps with this, too. The ticket above was reduced from 122 kb to 72 kb – a great result considering that the document was already well optimized before the PDF compression program compressed it even further. Creating a small PDF document really isn’t all that hard, once you know the basics. We hope the document will help you in achieving your goal.